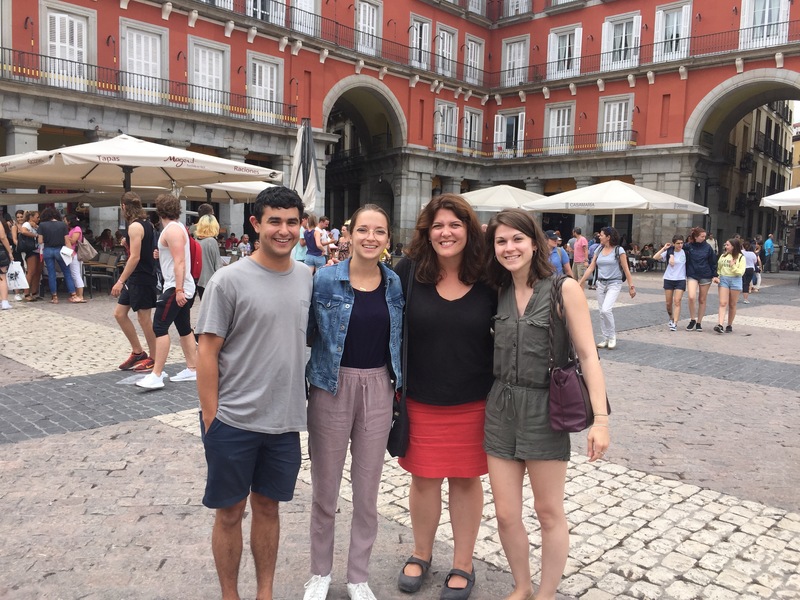 The Reporters’ Lab team recently spent five days in Spain, exploring the future of fact-checking — but we left plenty of time for churros, chocolate and an unusual fish concoction called Gulas. Six team members from the Lab — co-directors Bill Adair and Mark Stencel, project manager Rebecca Iannucci, student researcher Riley Griffin, Share the Facts project manager Erica Ryan and developer Chris Guess — traveled to Madrid July 4-9 for Global Fact 4, the annual gathering of the world’s fact-checkers. 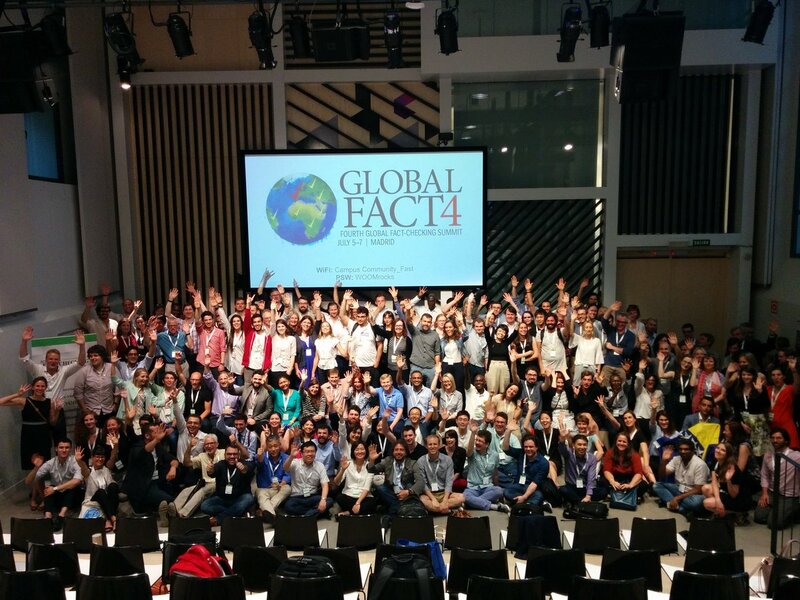 Below, scroll through assorted scenes from Madrid, then click here for more coverage of Global Fact 4. 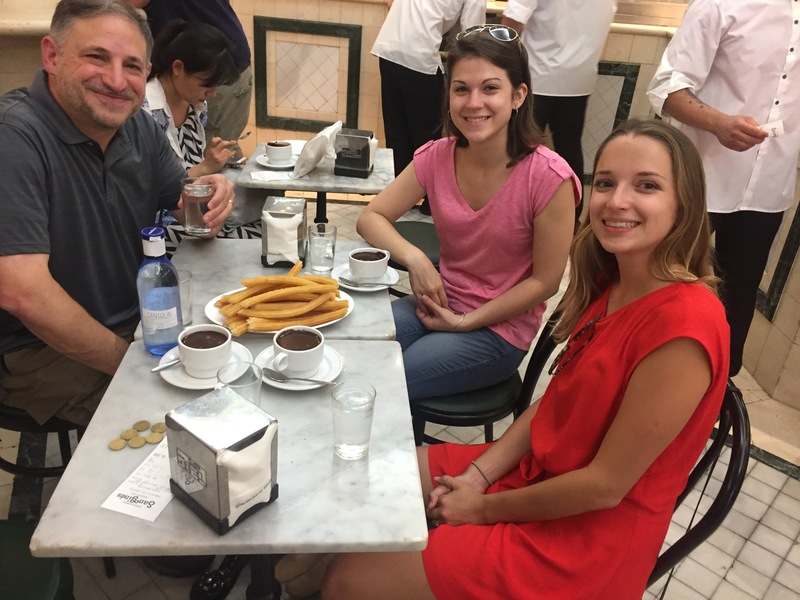 (L-R) Mark Stencel, Rebecca Iannucci and Riley Griffin enjoy churros at Chocolatería San Ginés. 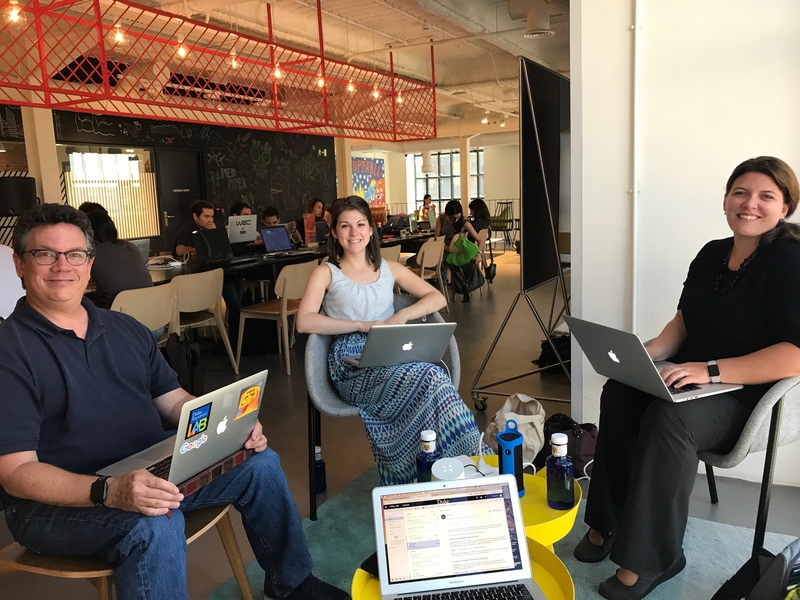 (L-R) Bill Adair, Rebecca Iannucci and Erica Ryan get some work done at Campus Madrid. 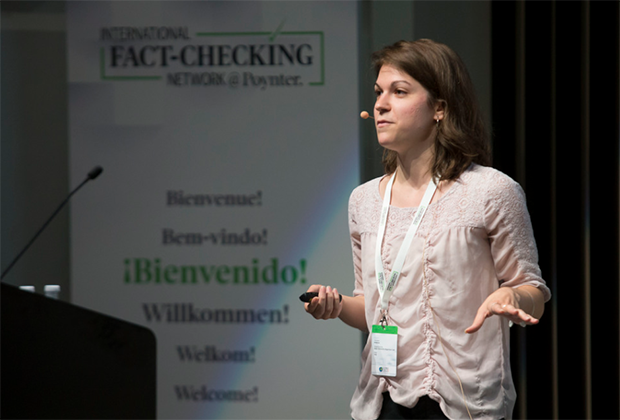 Rebecca Iannucci presents the Reporters’ Lab’s FactPopUp tool to the Global Fact 4 audience. Photo credit: Mario Garcia. 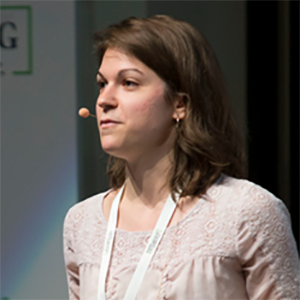 Global Fact 4 boasted 188 attendees from 53 countries. Photo credit: Mario Garcia. 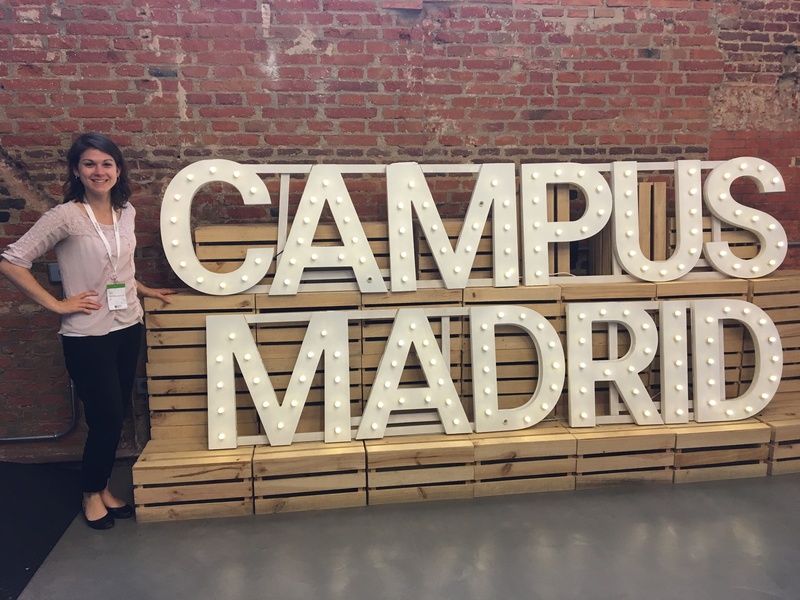 Rebecca Iannucci poses in front of Campus Madrid’s signage. 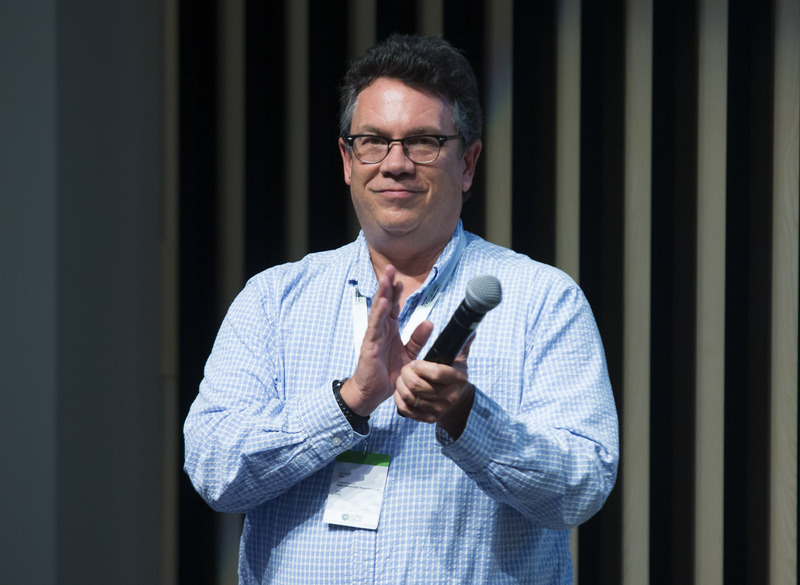 Bill Adair leads a standing ovation for Alexios Mantzarlis, director of the International Fact-Checking Network and organizer of Global Fact 4. Photo credit: Mario Garcia. 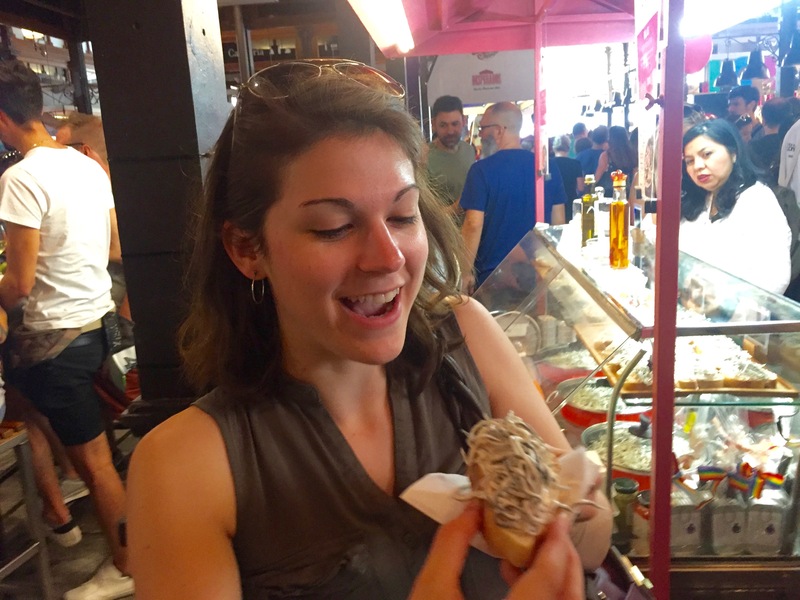 Rebecca Iannucci tries Gulas, a shredded fish dish, at El Mercado de San Miguel. 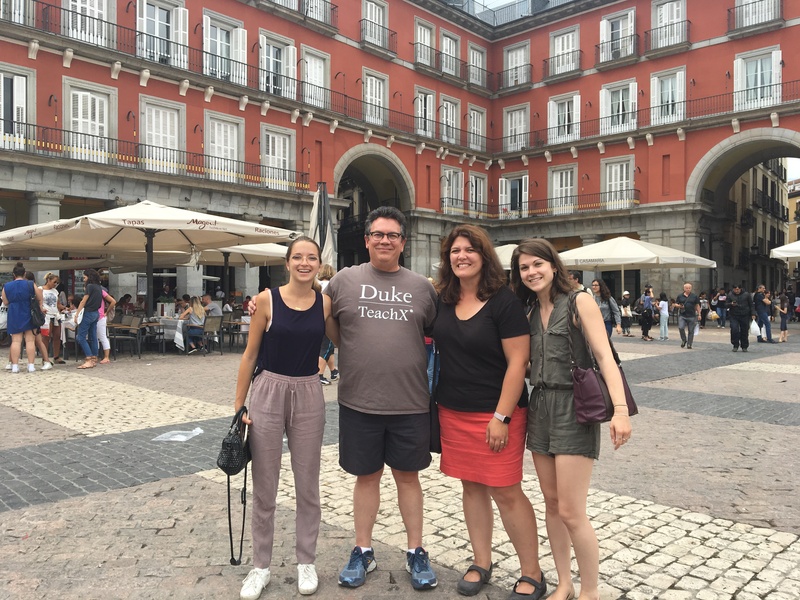 (L-R) Rising Duke senior Alex Newhouse, Riley Griffin, Erica Ryan and Rebecca Iannucci, after lunch in La Plaza Mayor. (L-R) Riley Griffin, Bill Adair, Erica Ryan and Rebecca Iannucci, after lunch in La Plaza Mayor.